Michael Collins, also known as Drugdealer, is clearly proud of his absurdist humor and auteur vision. His debut album under this alias, entitled The End of Comedy feels practical, yet somewhat quixotic. There are lots of guest vocalists on this album, including Ariel Pink on the standout “Easy to Forget” and Weyes Blood on the title track. The End of Comedy at times feels like a “best-of” compilation of the Californian underground rock scene because of its many collaborations. In fact, much of the album seems to be an optimistic soundtrack of the carefree, West Coast way of life. The End of Comedy feels like it would be the perfect soundtrack to a show like Netflix’ Bojack Horseman. or FX’s Louie. It’s absurdist deadpan at it’s best, in addition to being very dry. This type of humor has been rising in popularity in indie music after Courtney Barnett’s rise onto the scene last year. Of course, Barnett’s debut Sometimes I Sit and Think, and Sometimes I Just Sit pulled off the poker-face flawlessly, which The End of Comedy does not quite do. Unfortunately, a major flaw in The End of Comedy’s is that its visionary mantra has been diluted, as far too many of the tracks on this album, including “Theme for Alessandro,” “Theme From Rockaway” and “The End” feel like filler. While it is understandable to rely on intro tracks and the like once in a while, The End of Comedy some of these songs stray dangerously into overkill territory. Of course, many of the songs included are perfect just the way they are. The title track is an exceptional piece of music; a piano-based number featuring the sultry vocals of Weyes Blood that would feel right at home at a old 1860s saloon or speakeasy. “Suddenly,” another piano tune featuring Weyes Blood, also comes across very well. “Sea of Nothing,” a rough guitar ballad with some harmonica portions, is the time of avant-pop that Drugdealer excels at. 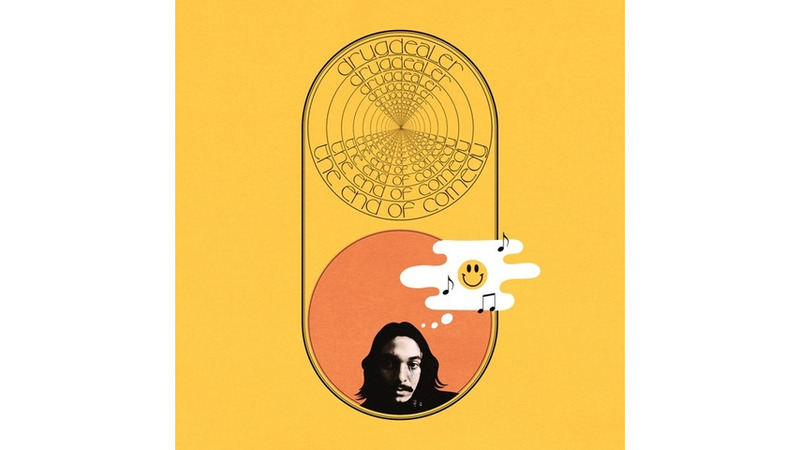 Overall, if Drugdealer sticks with the type of work he did for the three aforementioned tracks, his sophomore album might be a bit less sloppy. However, despite the stuffing of unnecessary transition tracks on this album, Drugdealer still makes a clean getaway with The End of Comedy.